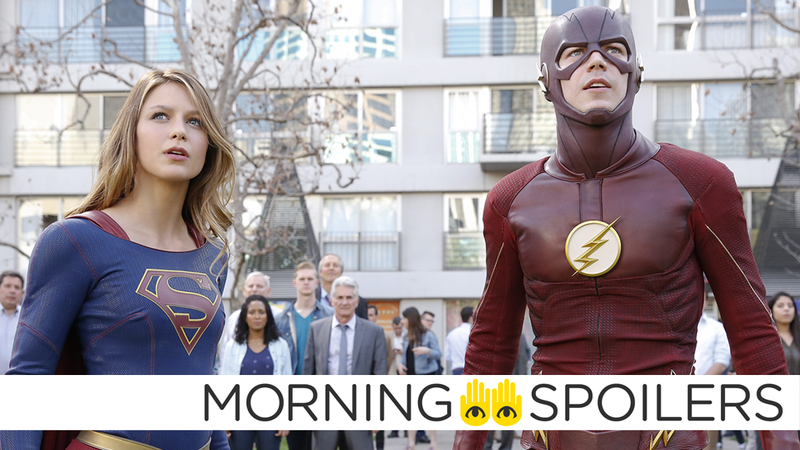 Could The Flash's Next Season Have Major Implications For Supergirl? The Friday the 13th reboot gets a new director. Get a look at Jeremy Renner and Amy Adam’s new scifi film Arrival. Dana Walden teases the upcoming Fox/Marvel mutant TV show. Plus, Chloe Bennet on Ghost Rider’s arrival in Agents of SHIELD, and new footage from Lucifer and Gotham. Spoilers Now! Michael Bay has revealed another character from the film, returning Autobot Hound. Salt shakers at the ready! Bleeding Cool is reporting that the next season of Flash—which is dealing with the ramifications of Barry creating a whole new state of reality by saving his mom in the “Flashpoint” arc—will somehow lead to the eventual integration of Supergirl’s reality into the universe currently occupied by The Flash, Arrow, and Legends of Tomorrow. While this wouldn’t be surprising if it were the case, there’s no details in the report on just how that would actually happen just yet, so take it as highly speculatory for now. Meanwhile, Stephen Amell teases the big crossover between the shows with a suitably cryptic picture of feet. And specifically for Legends, Brandon Routh recently shared an image from the set of Ray Palmer looking rather dishevelled. Dana Walden told /Film the new X-Men inspired TV series Fox is making with Marvel is “a little bit underground railroad”. It’s about an average family who encounters this extraordinary world and children who have mutant powers and they end up on the run, so it’s a little bit underground railroad in terms of a storytelling spine. We did see an early draft of Hellfire and there was a lot of work to be done. Manny and Evan were getting very busy with the new 24. At a certain point we all regrouped, together with Simon Kinberg and Bryan Singer and Lauren Shuler Donner and Jeph Loeb at Marvel and really made a decision. I would say if there was anything about Hellfire that was not ideal for us, it felt like a show that wanted to live as a feature rather than really taking advantage of what television does best: exploring relationships and characters and smaller moments. It doesn’t mean it can’t feel like a big show but Hellfire felt more like another installment of the features. It is always a little scary and you want everything to work well, but Gabriel is wonderful and fits in perfectly with the cast and I’m excited to see where they go with it. All the powers so far have been really rooted in something that Fitz and Simmons can always explain. I’m curious to see how they tie in a flaming head/skull on fire, and how they explain that with science. They have a really compelling idea for season three that I liked very much. We’re definitely talking about the show right now. Finally, speaking of Lucifer, there’s new footage in this promo for both it and Gotham in this trailer.